After their last LP, Maladroit, Weezer seemed to be on a roll. Loads of demo's of forthcoming material were available to download over at weezer.com - supposedly destined for 'album 5'. The fact that Maladroit kind of sucked seemed to put a spanner in the works however and the band went quiet again, with Rivers Cuomo heading back to Harvard to finish the hiatus he started in 1995. When I first heard this new LP it sounded like the band were back on track, particularly as Rick Rubin was drafted in for production duties. The album kicks off well, with rockin'-comedy single Beverly Hills and then Perfect Situation works Weezer's hard-rocking irony well, This Is Such A Pity is also good, using a funky disco keyboard. After that, things start to follow the path of the last two Weezer albums. The tracks get bogged down and start plodding and the catchiness fades. 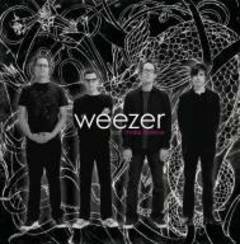 I'll keep trying as I want this to be good... and maybe it's the hidden classic that Pinkerton is. Plus I shelled out £25 to see them in June.